Now we can see an interesting topic Extending the controller.js file from a Super Class . Basically we all know that how to create a Sample UI5 Application from a template. 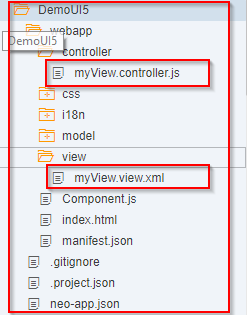 While creating it from template we automatically get a single view and controller created. This is how they look like after the code generation. But we can also extend a different file which considered as a super class and we can access the methods from the super class. Now let us create a Super Class. In Order to Create a Super Class which is a JS file, following are the steps needed. Remove and Add the below code. Therefore we can access all the methods declared in the custom class and we can extend this custom class to any view . This is how we can re-use the code for all the controllers. In-fact write the code only once and access many times from the controller file. One question though: Is it also possible to reuse such a generic “Super-Controller” for more than one application? Want I understood from your question is, yes we can reuse – extend the Super Class for more than one controller in your Application. For Example, if we have 3 views in your Application then it is possible to extend the super class for all the 3 controllers . Since Application to Application differs we can also extend the same super class in all your controllers of other applications. 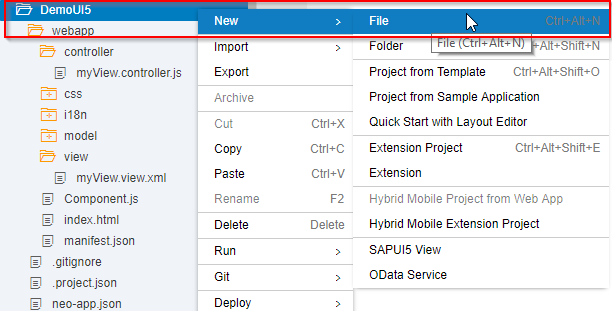 Please reply if I got you wrong..
For more examples just create SAP Ui5 application through WEB IDE and you can find BaseController.js file which is extended in remaining controllers. In this example BaseController file has Routing logic to navigating between views.